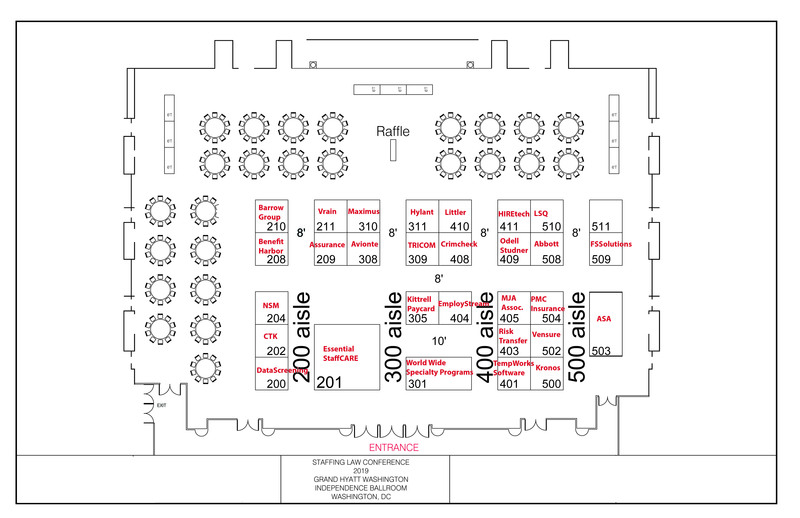 How big is the staffing industry? Who works in it? What types of jobs do they do? The American Staffing Association pulls together staffing industry facts and data, from its own surveys and external sources, to characterize the size and scope of the industry and the people who work in it. 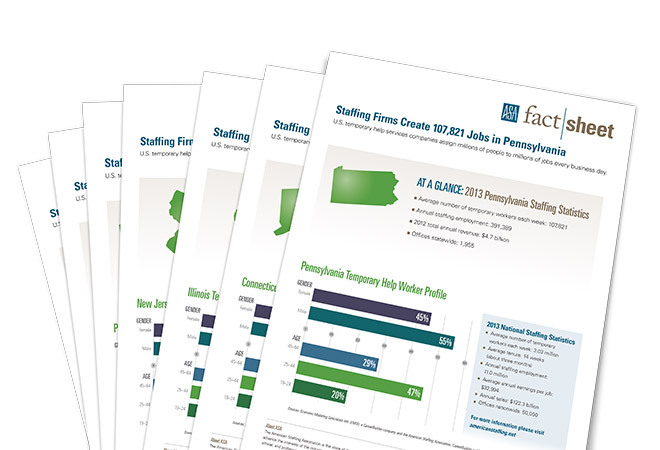 Get the numbers on staffing for the industry as a whole and state-by-state. Each year, it’s the most anticipated report in the staffing industry. 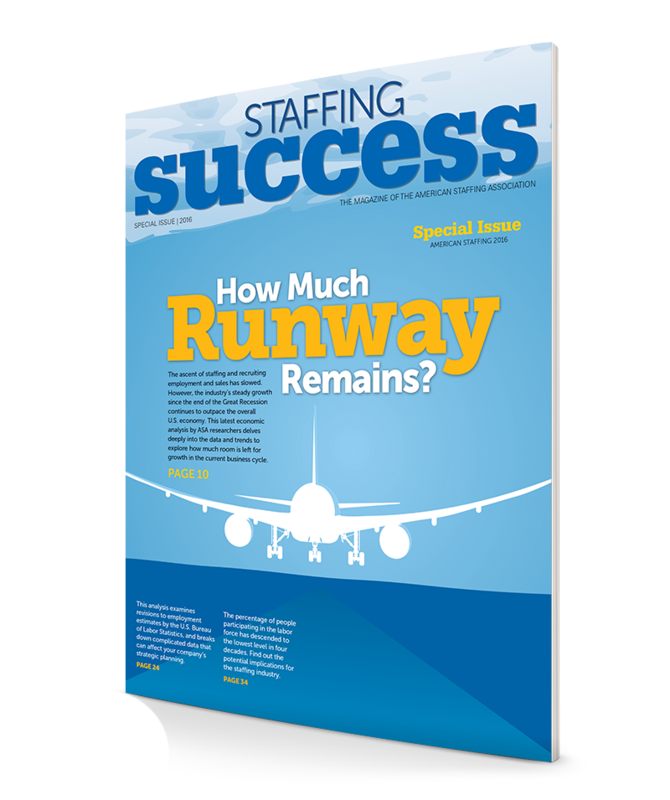 The annual Staffing Industry Economic Analysis, published by ASA in Staffing Success magazine, offers an informed and detailed overview of the current state of the economy and how statistical trends are affecting the staffing business. We’ve got lots of runway left!” That’s a declaration often made in casual conversations by confident business executives and economists. They are referring to the continued post-recession expansion of the U.S. economy. Now more than seven years old, the current expansion is 40% longer than the average of the growth periods since World War II. Why do employees choose to work for staffing companies? What does it do for their careers? Are they satisfied? Find out what they say in the industry’s largest annual employee survey. Good question! This brochure explains the benefits for employees, employers, and the economy.